Mobile innovation is booming in Africa (that’s a fact), and African developers seem to have an equally corresponding passion for it. Mobile Entertainment Africa 2012 therefore can be said to be the ideal setting where, Africa’s hugely untapped potential for “Mobility” can be fused with an unprecedented developer excitement for mobile innovation. 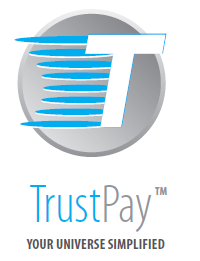 TrustPay, one of Africa’s biggest mobile payment companies (which is also one the event sponsors), in collaboration with the organizers of Mobile Entertainment Africa, are giving an opportunity in the form of a contest, where 5 mobile app developers can win a very “sought-after €650” access passes to attend the event, all costs covered. To stand a chance of winning, all you have to do is send an email to info@allamber.co.uk and give a brief motivation about your dedication to mobile software development. The winners will be notified on Thursday, August 23, 2012 — Seriously, it’s that simple. Meanwhile, I can’t wait to be there next week. Given the massive success of last year’s event and looking at this year’s lineup of speakers, the list of companies that will also be attending, as well as a top notch venue — this year’s event promises to be even bigger and better. Developers, this is truly and an opportunity not to be missed.